As eleven-year-old Peter Nottage stood in the yard, watching in disbelief, a group of Japanese fighter planes swooped down, spraying machine-gun fire across the water. Then the first bomb dropped-and in minutes, Kaneohe Bay was a sea of smoke and flames. To the south, at Pearl Harbor, the huge ships of the American fleet were ablaze. This was no drill. This was war! 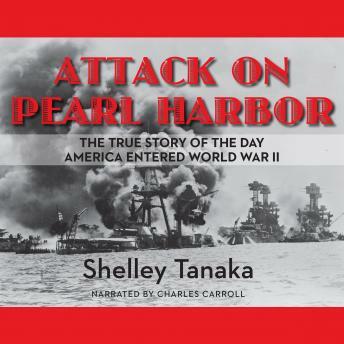 Through vivid eyewitness accounts, Attack on Pearl Harbor re-creates the dramatic moments of the unforgettable day that America entered World War II.